Join ACR hosts Hesher, & Spore along with Daniel Spaulding of Soul of the East, Andy Nowicki from Alt Right Blogspot, Patrick Henningsen of 21stcenturywire & ACR/21Wire contributor Randy J. In this broadcast listeners will be hearing us go around the BOILER ROOM on the typically unexpected variations of conversation including what we’ve deemed “Pre-Trump-Matic Stress Disorder,” voting machine and facial hacking, Hollywood “celebs” who think Trump is Hitler, Beck getting away with ... See More threats of multiple stab wounds, the Orwellian use of the term “establishment,” our analysis of mainstream media behaving as disinformation operatives, Syria, Yemen, Libya and the Boiler Room analysis on the new bombshell video showing the LaVoy Finicum assassination in Oregon. Is the Federal narrative of Tinicum’s death up against the ropes?! 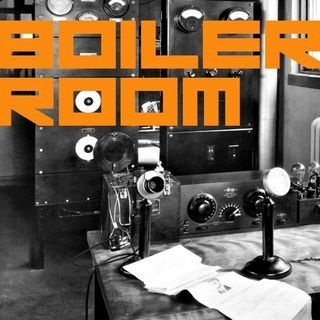 If you want to participate, bring something interesting to throw into the boiler… Join us in the ALTERNATE CURRENT RADIO chat room.